This page is a sequel of the "Ideas for projects" page of children who participate in the EFK program and of teachers who teach this program in school. As part of the Entrepreneurship for Kids Program, many project ideas come to their mind, some of which are actualized while others are not. In light of the abundance of the ideas that arise during the program, we have included additional ideas for projects, inventions, and social initiatives in the school in this page, most of them are by the students and some are by the teachers. The process of filtering ideas is complex, mainly because as like real entrepreneurs, the students usually like their ideas, and find it hard to decide on not promoting their own ideas. 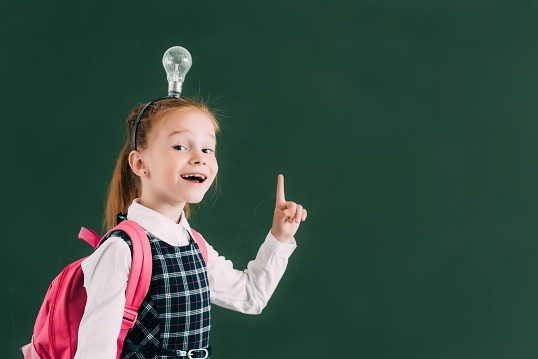 But, with a structured and objective process, based on questions, locating information, and diving into details, the students succeed in prioritizing the ideas which arise in the classroom. In a class that allows an open and creative atmosphere, many project ideas are formed, from which a few get selected and promoted. Read on realization of the selected projects on the page: Kids initiate. Sixth graders at the Katznelson School in Kfar Sirkin learn entrepreneurship classes with teacher Lee Glick. The students referred to a common problem of mosquito bites, so they decided to solve it. The children studied the various means which help to remove mosquitoes and examined some of them. In the end, they chose a mosquito repellent solution that is also adapted for children, combined with other elements to create a product that can be easily carried and used for hiking. The product is named Scratchy. The idea for the Magnoclean product came from the need to clean the glasses in their corners. The students looked for a convenient, easy to use, safe, portable and durable solution that would protect the lenses from scratches and wipe the lens' corners. After a number of ideas came up, the children chose a product which consists of two magnets with a cleaning cloth on one side and a ring on the other allowing for a comfortable grip. 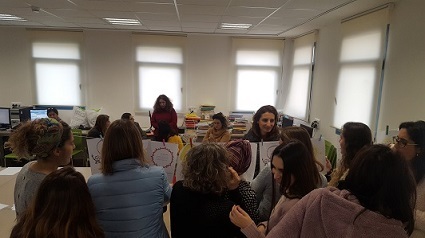 The staff of the "Yitzhak Navon" school in Shoham participates in an institutional training course on education for entrepreneurship in the school, led by Galit Zamler. The teachers participated in a practical workshop for creative thinking and coming up with project ideas. -	Performing small grocery shopping out of a drive-thru window, similar to McDrive. -	Alerting of a mobile phone if it is being used before crossing a crosswalk. -	Integration of the elderly as a helping hand in schools. -	Cleaning the classroom using robots. -	An app that allows parents to protect their kids on social media. 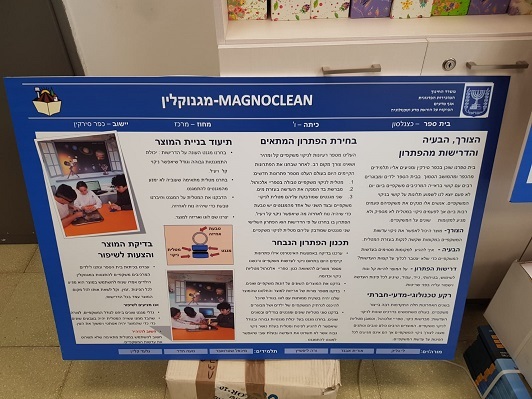 -	A garbage can which contains multiple trash bags and is ready for use right after removing the previous, full trash bag - this idea was also proposed by students from Kiryat Arba who took part in the Hackathon: removable trash bags without the need to be replaced. -	Shopping carts which can be folded into the car trunk and pulled out like wheelchairs. -	Giving lectures online by the teachers and watching it through smart phones. -	A motorized shopping cart with a chair and screen to load into the shopping list. -	An autonomous barrier at the crosswalk, which identifies children who want to cross the road and stops the traffic in order for them to cross safely (instead of or in addition to the Zaha"v patrols). 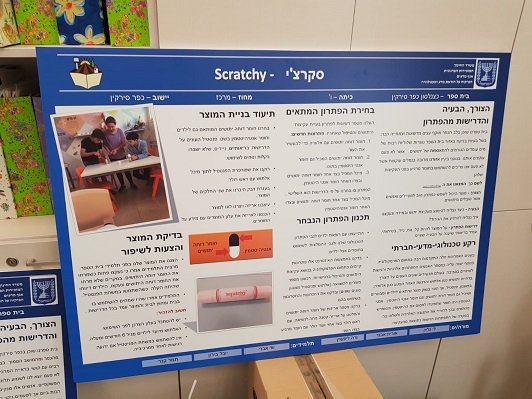 -	"TickSkate" (Tick means bag in Hebrew) - instead of a trolley to carry backpacks, a remote-controlled skateboard that you could put the bag on will be used. Read about many more ideas for projects of children who undertake entrepreneurship classes. On the realization of the selected projects read on the pages Kids initiate part I and part II.